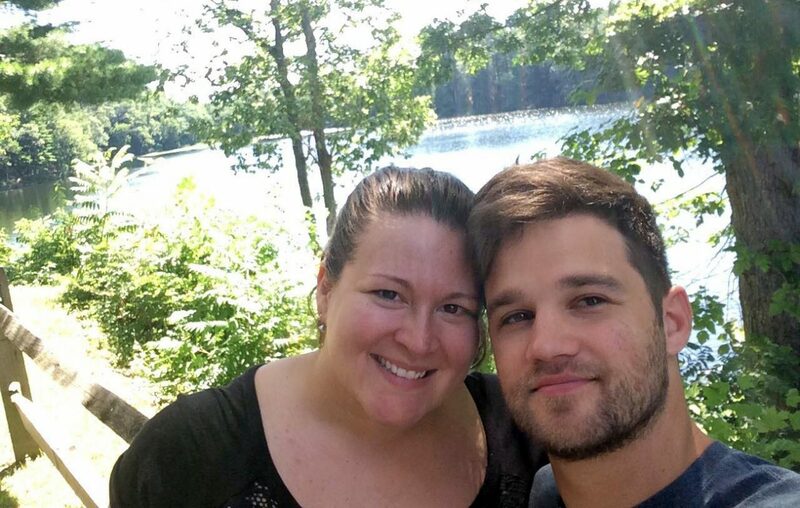 Cristina Anderson and her husband, Tim, enjoy the sights around the Pocono Mountains in Pa., where they went following their wedding for a “mini-moon.” The couple took an abbreviated trip with the goal of getting out of debt. Cristina Anderson and her husband, Tim, didn’t want a traditional honeymoon. Instead, they opted for a mini-moon. Following their wedding, the Buffalo couple spent three days at an all-inclusive resort in the Poconos—a stay that cost them a total of around $300 after finding a Groupon discount. Cristina and Tim join a growing number of couples ditching—or delaying—the honeymoon in favor of the mini-moon. These abbreviated getaways are typically under a week long and within a few hours of the couple’s home. According to The Knot, roughly 82 percent of newlyweds are taking a mini-moon. Emily Foschio and her husband, Tyler Sisson, enjoy a walk around the Niagara Falls area following their mini-moon. The couple decided to stay close to home to save money for home renovations. Emily Foschio and her husband also chose this shortened approach—spending their mini-moon split between Niagara Falls and Ithaca, because she and her husband had just purchased their first home. But the reasons for mini-mooning aren’t only financial. Many couples see a shorter, closer-to-home trip as less stressful, requiring less planning. It also doesn’t break the vacation-days bank for couples who have limited time off work. Taking a mini-moon post wedding doesn’t have to mean foregoing a longer trip—it may just mean postponing it for later. The Andersons, for example, see their dream vacation to Hawaii, a trip they put away money for every month, in their future. And they’re glad they chose to save rather than splurge. Foschio noted that the most important part of any post-wedding trip is spending uninterrupted time together to celebrate marriage.